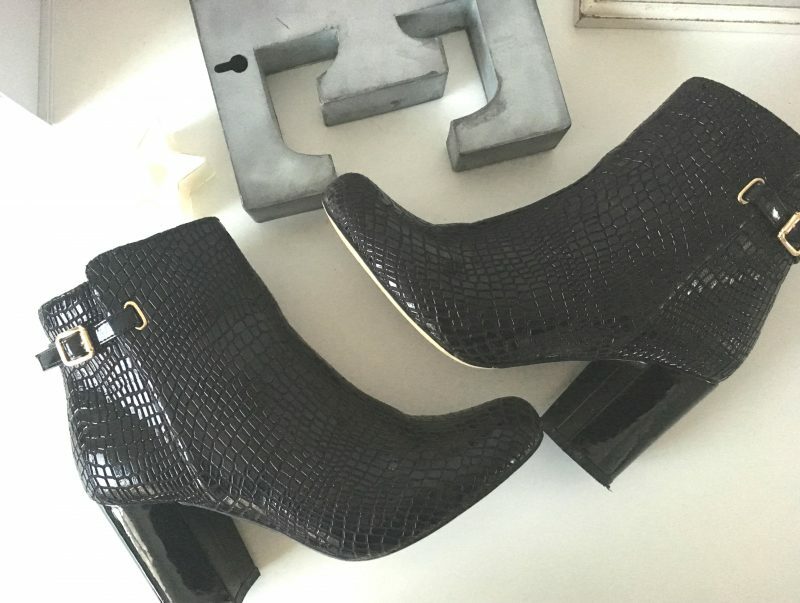 No matter how much I obsess over stylish footwear, filling my boxes, shelves and wardrobes (oops) with hundreds of pairs, there’s a fail safe for me. 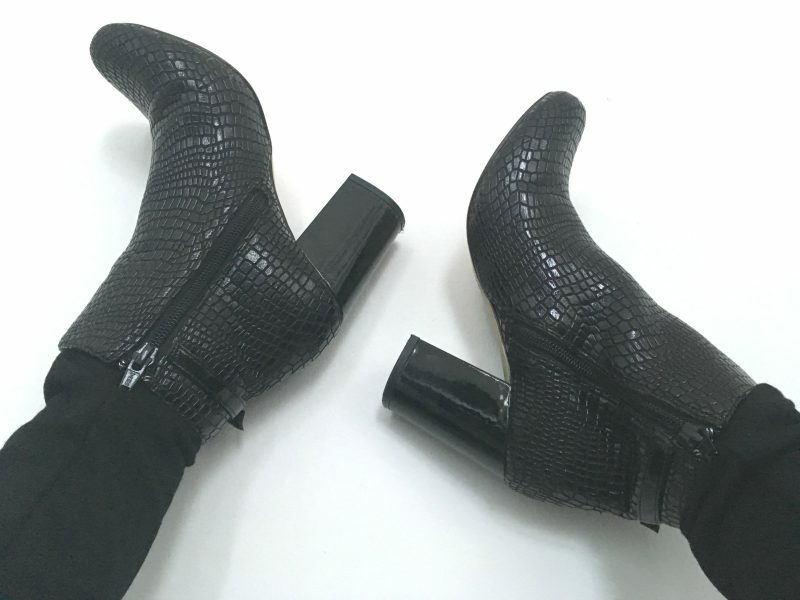 Statement black patent ankle boots – especially with a slight croc style finish – are classics. Just a simple pair of high shine, high quality black boots to this finish just say so much without actually being complicated. 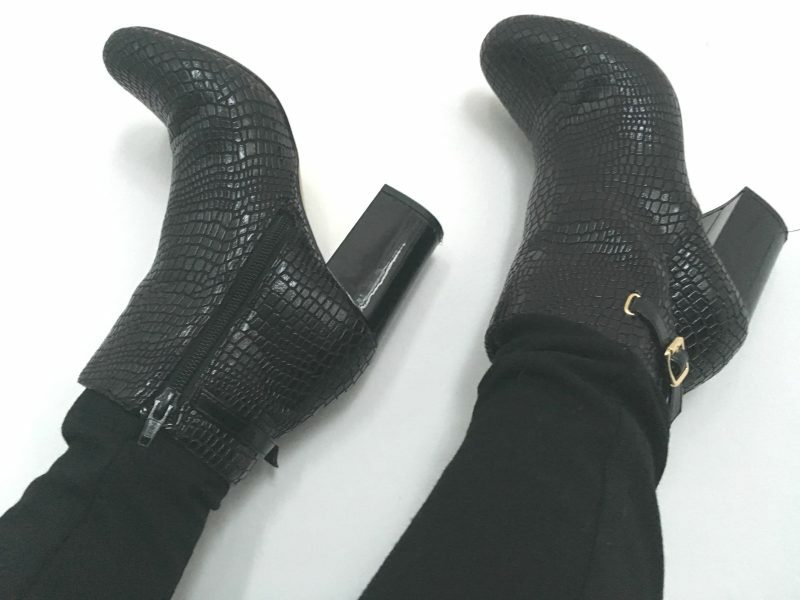 Less ‘plain’ than your timeless soft leather black ankle boots, but less ‘OTT’ than your snake prints or over-the-knee styles, black croc patent looks classy – when worn correctly of course! 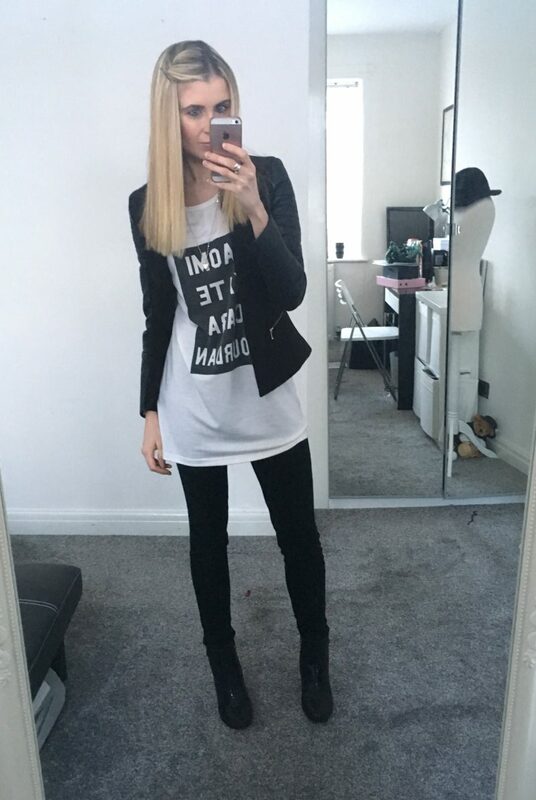 I like to pair up with smart dresses (and even tights), or fitted shirts and skinny jeans, as I find this particular piece of footwear adds that touch of glamour. 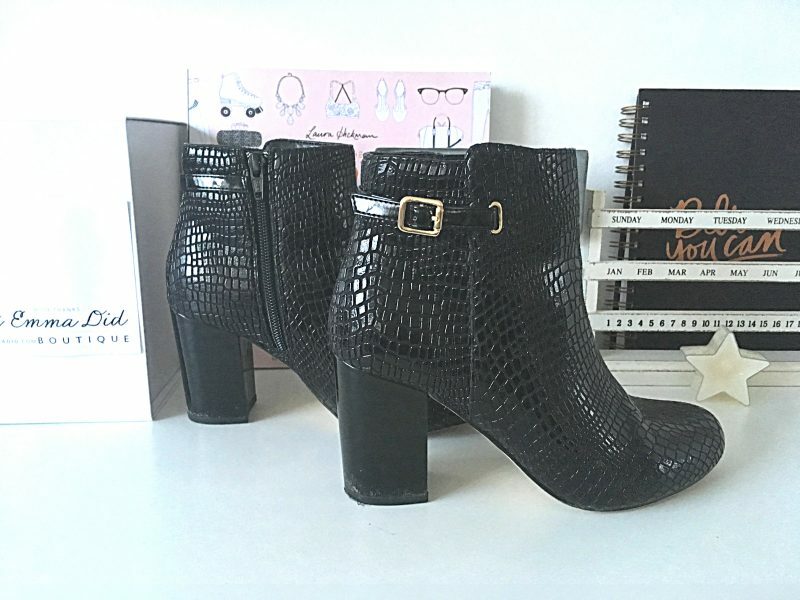 This particular pair of ankle boots I’m sharing on the blog today are from Brantano, and as always, they didn’t cost the Earth, yet don’t lack in quality. The style is called Adoette, and they come in black and a burgundy shade, which is just as lovely. But as much as I like to experiment with colour every now and again, I’m a true black boot girl. I’ve been wearing these with my casual skinnies and tee’s for work, dressed up with a faux leather sleeve blazer, yet also with my evening dresses and midi skirts for weekends. 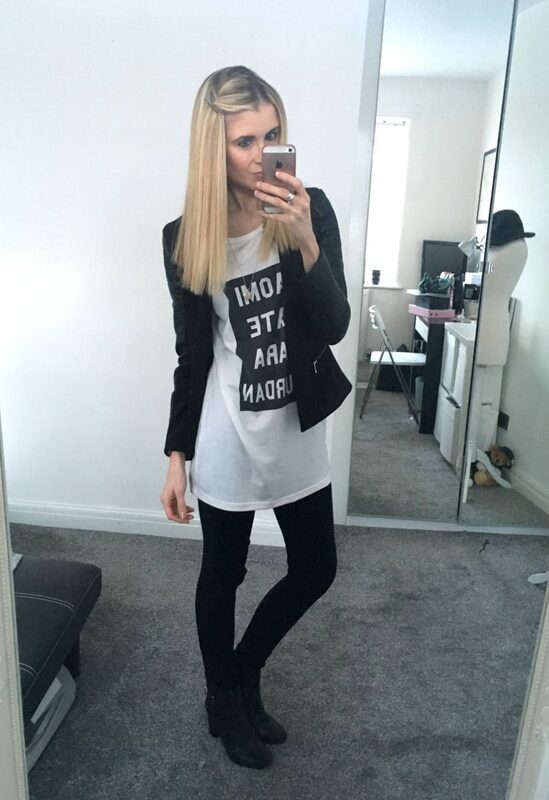 I’m also a huge fan of block heels at the moment! 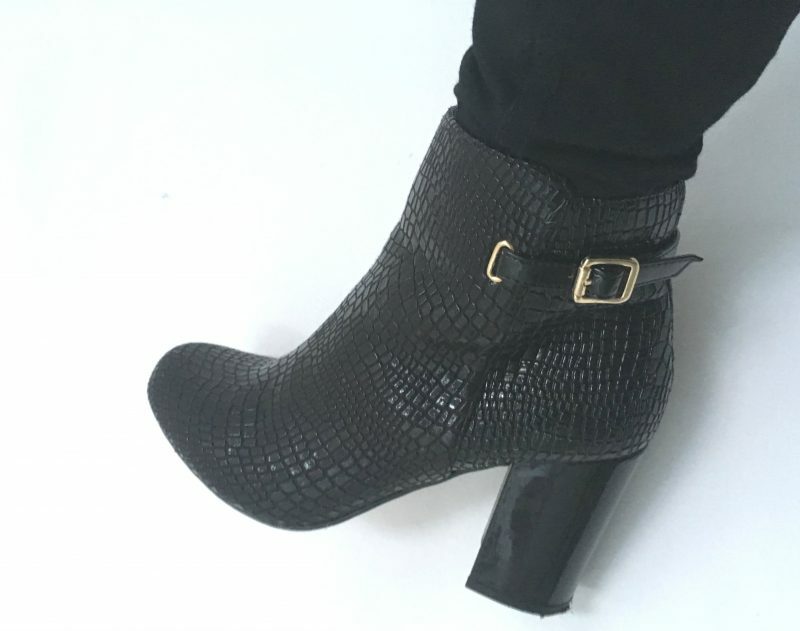 I’m not going to pretend wearing 8 cm heels daily is a comfort thing – because they are never going to be that comfy when they are a high heel – but a block heel certainly makes it easier. 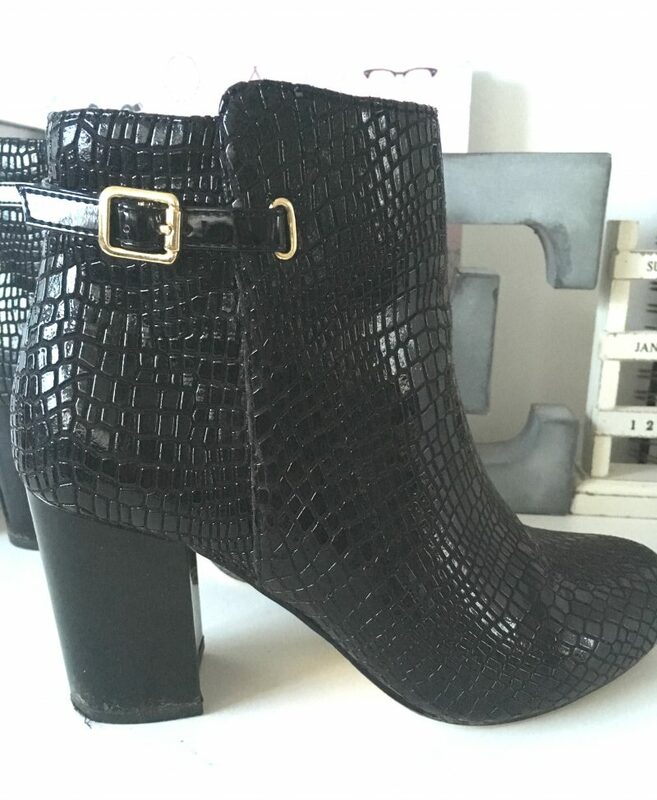 These lovely new ankle boots cost £65 from Brantano. 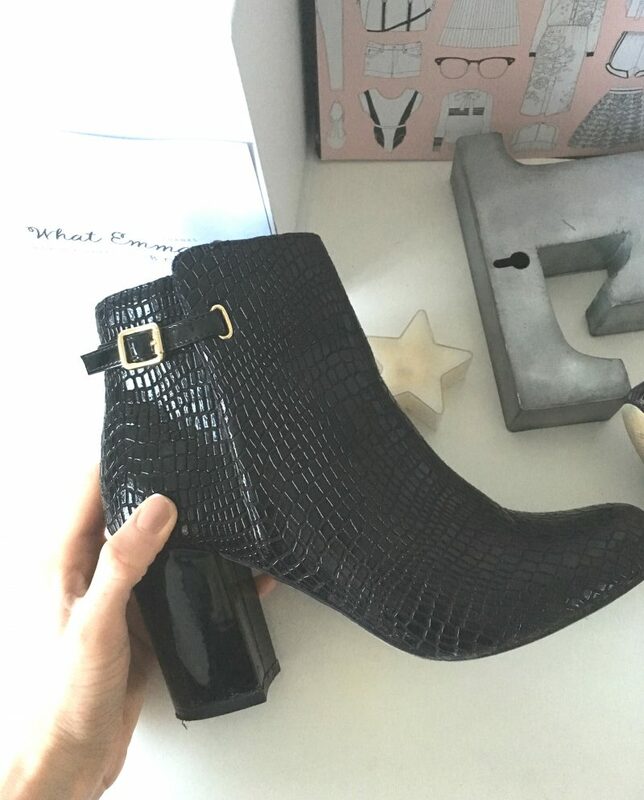 I love these ankle boots!